Thai-Chinese descents believe that Vegetarian Festival is the month of merits because it alleviates suffering and death of countless animals. 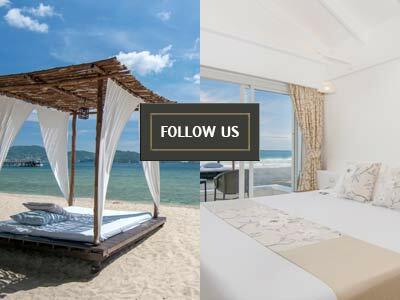 We are proud to present 6 popular vegetarian menus which can be cooked easily at home and eaten as snacks as well. 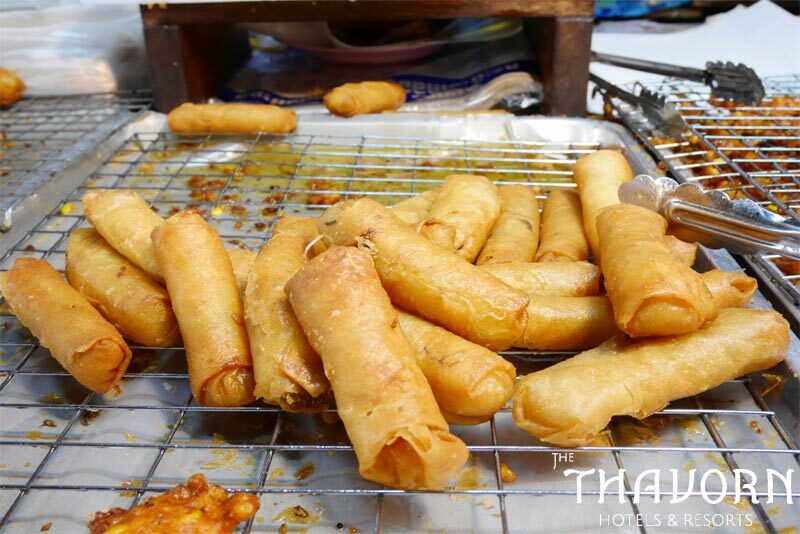 For all popular Vegetarian Fried Menus during the Vegetarian Festival, there must be fried taro, fried tofu and deep fried spring roll. These menus can be cooked at home and eaten either with or without vegetarian dipping sauce. This easy menu can be cooked by dipping mushroom into the frying dough and boiled frying oil and eaten with vegetarian dipping sauce. 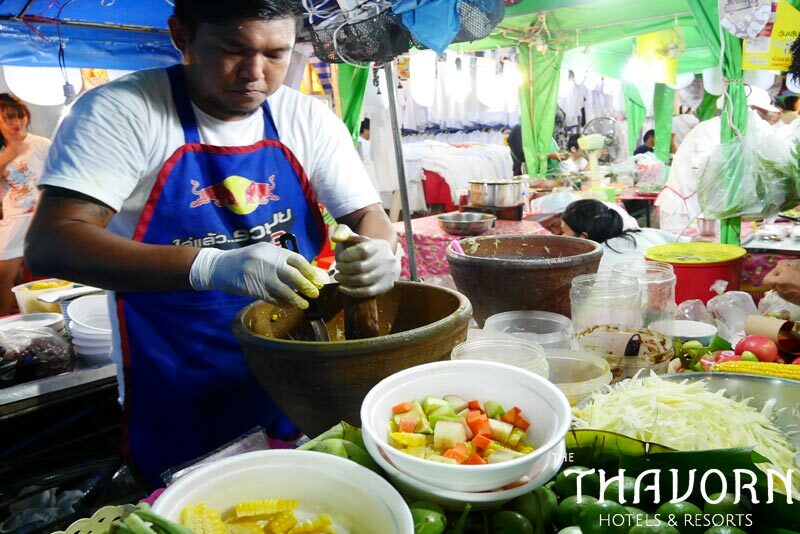 For people who love to eat Papaya Salad and spicy food, Vegetarian Papaya Salad is recommended during the festival. The taste is as good as the original one. 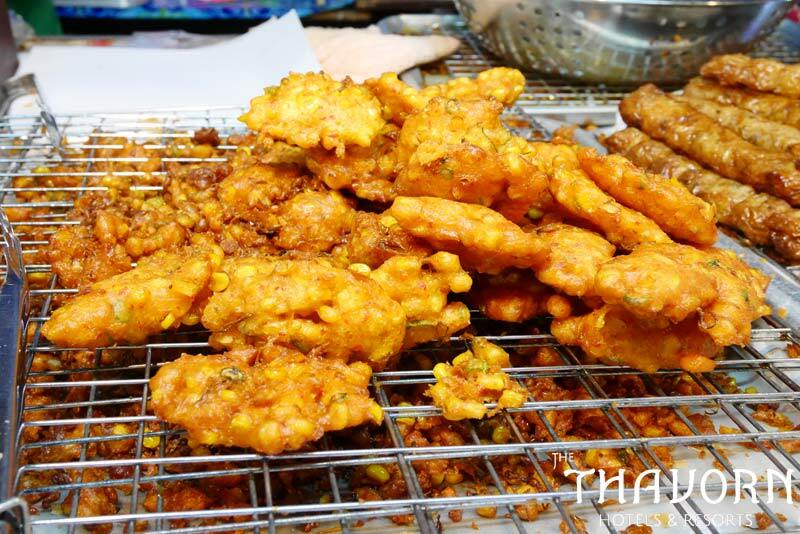 Delicious and crispy Vegetarian Fried-Corn Cake served with Vegetarian dipped sauce is suitable for both snack and side dish. 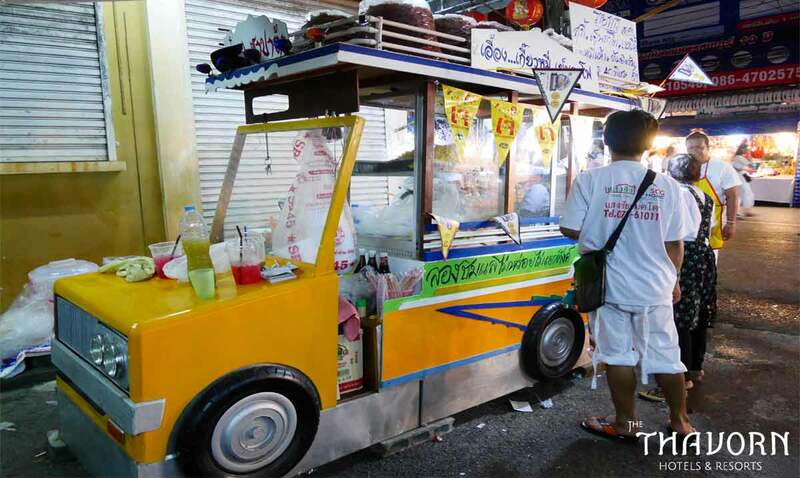 It’s another popular menu during the festival and waiting for anyone to taste. 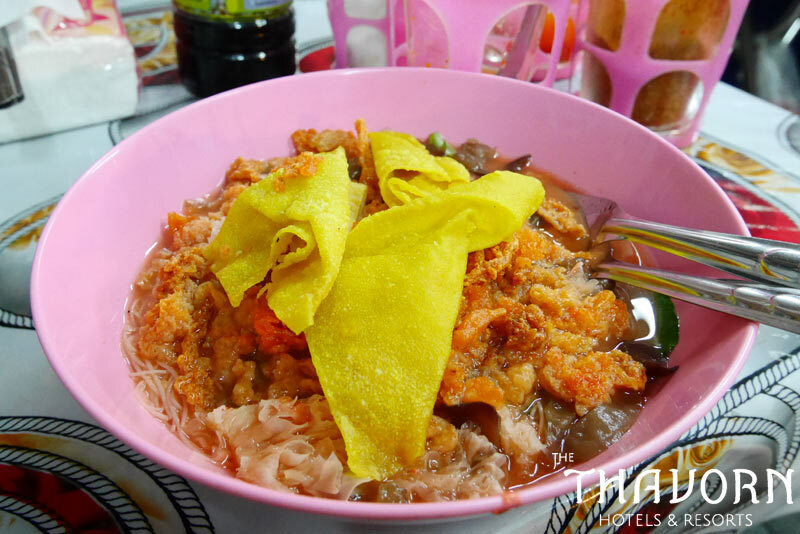 The dish is served in the pink soup made from fermented bean curd, with fried taro balls which is full of Calcium and Fiber, and Jew’s Ear Mushroom substituted for pork blood cubes. It’s also another healthy menu for home cooking. 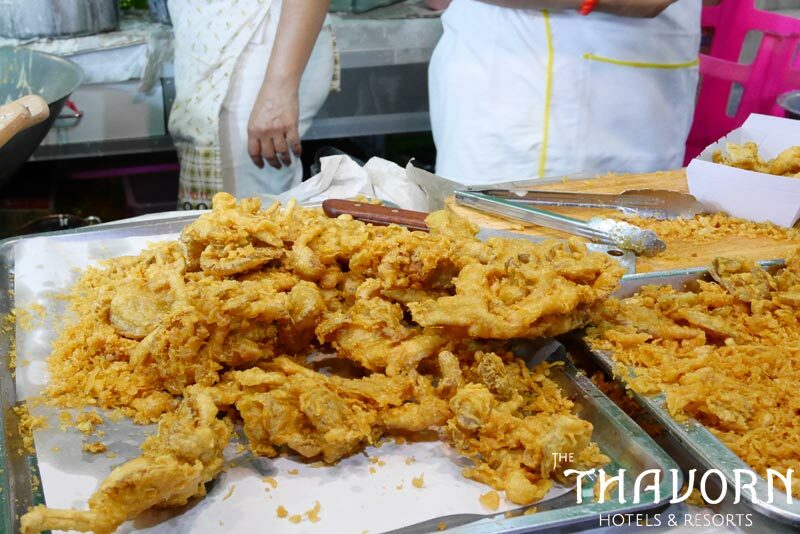 It’s a popular menu and is available in all vegetarian food restaurants during the festival. 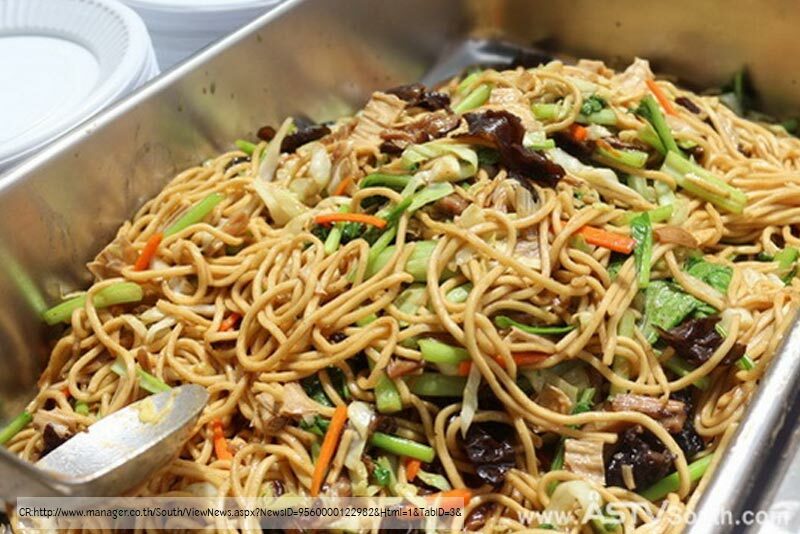 Chinese people believe that eating long noodle bless long life.